Many retirement villages restrict their residents. Some will not allow you to come and go as you please, while others make you adhere to a strict schedule doing things you may not be particularly fond of such as arts and crafts. 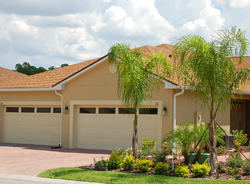 Some Florida retirement communities do not let you own your home and you pay them rent to live there. At Vienna Square, we believe in complete freedom to do what you want and independence of owning your home or villa. 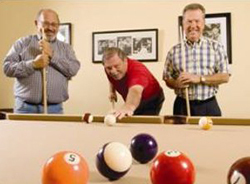 We offer a variety of amenities and there are quite a few benefits to being a resident of Vienna Square. Residents are a part of an exciting group of individuals who enjoy the opportunity to fulfill their active adult and retirement dreams. Our services and amenities empower you to live life your way and provide you with the ability to take advantage of all life has to offer. We have a 7,000 square foot clubhouse where you can mingle with friends, dance the night away or watch a movie. We also have a fitness center that features all the equipment you need to stay healthy and fit. 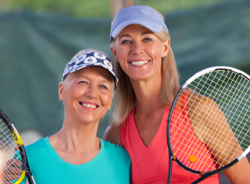 You can also play outside on our tennis court, relax in the pool or spa or you can choose to participate in a variety of organized events and activities scheduled each month. The choice is yours. We include a few services when you purchase a home or villa in our community such as basic cable, a monitored home security system, a secured entrance to our community, use of all the equipment and amenities and a professional management teams that handles day to day operations. We understand that some people do not want worry about lawn or home maintenance. Therefore, when you purchase one of our maintenance free villas you also receive lawn mowing and landscaping, a reserve for roof replacement and exterior painting and more. We try to be the creme de la creme of retirement villages without the hefty price tag that comes along with top notch service. Plus, you have the option of some ala carte services for an additional fee. You can take advantage of the wealth of services offered on our Continuing Care Campus such as meal plans, laundry service, transportation, housekeeping and more. We are here to serve you as your needs change. That is one big bonus for Vienna Square that other retirement villages do not offer. Should you become ill or need help with certain things, we are here for you. There is no need to move or relocate just because your needs change. 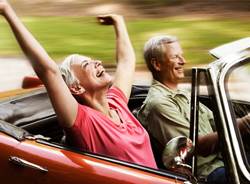 Our commitment is to provide you with an extra level of care while still allowing you to enjoy your freedom and independence. Visit us today and make us your only choice for retirement villages.